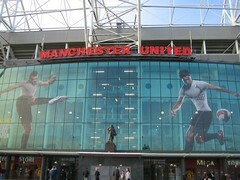 Manchester United kicked off their Premiership campaign of 2010-2011 with a convincing victory over Newcastle United. The 3-0 scoreline was a fair reflection of the match although the harshest of critics, or the most virtuous judge, might have claimed that Newcastle were deserving of a goal and Manchester United themselves ought to have scored another. We learnt little new from the match. Dimitar Berbatov is still profligate in front of goal, Wayne Rooney is not yet in top form after a disappointing World Cup for England and the Old Trafford legends Paul Scholes and Ryan Giggs are incredible. The way the pair, diminutive Mancunian and dark Welshman, embraced after the third and final goal told a million stories. This was the 19th consecutive season that Ryan Giggs has scored in the Premiership, which is also just how many seasons the Premiership has existed. The fact that it was Paul Scholes who helped him achieve the feat, he provided the assist, only made the moment even more emotional. Every team in the world has its legends but in these two Manchester United have something else entirely. These two are more than legends. They are mythical characters, superheroes. The wonder or grandeur they have isn’t arrived at courtesy of two great seasons and a handful of medals. That is for conventional heroes. These two are a different type. What they have has not been achieved because of incredible yet sporadic performances. The history of Paul Scholes and Ryan Giggs is remarkable because of it’s consistency. There have been splendid highs but there have not been the inevitable lows. It defies convention. These two have performed at an incredible level for close to twenty years. Repeat that last sentence. Even then it fails to remonstrate just what exactly it implies. Stupendous. Separately, and rather more mundanely, Newcastle United reminded us why they were relegated. Eight of those who were in the starting eleven at Old Trafford were part of the squad that was relegated two season ago and they way they performed on Monday night suggested they might just go back whence they came. Newcastle are short of quality and if they are to survive this Premiership campaign without being relegated they will do so on the basis of hard work and collective sacrifice. The Geordie fans, as always, were splendid. Hearing them sing even after falling three goals behind reminded us that Newcastle are a big club, with fervent support, and this current incarnation of their club, the team, is not quite becoming of the support. Javier Hernandez came off the bench for the home side towards the end of the game but was unable to make an impact although his pace was notable even thought it was not utilised appropriately. Patrice Evra, worryingly, left the pitch injured but post match reports indicate there is no serious damage and he should be fine for the next fixture. All in all it was a promising start for Manchester United and a disappointing one for Newcastle. At the end of the night these two occupied spots at the opposite end of the league table. Little suggests it will be different at the end of the season. Chris Hughton, the Newcastle manager, will probably wake up with the Tuesday morning blues.